Respected arts commentator and author Paul Morley, an artistic advisor to the curators of the highly successful retrospective exhibition David Bowie is for the Victoria & Albert Museum in London, constructs a definitive story of Bowie that explores how he worked, played, aged, structured his ideas, influenced others, invented the future, and entered history as someone who could and would never be forgotten. 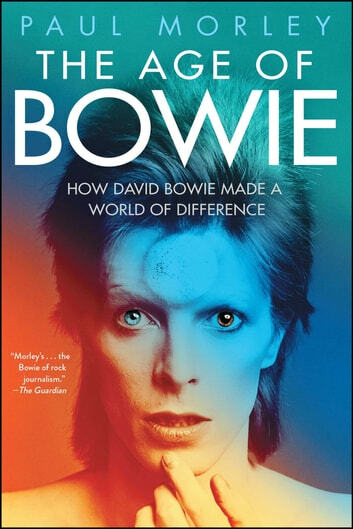 Morley captures the greatest moments from across Bowie’s life and career; how young Davie Jones of South London became the international David Bowie; his pioneering collaborations in the recording studio with the likes of Tony Visconti, Mick Ronson, and Brian Eno; to iconic live, film, theatre, and television performances from the 1970s, 80s, and 90s, as well as the various encounters and artistic relationships he developed with musicians from John Lennon, Lou Reed, and Iggy Pop to Trent Reznor and Arcade Fire. And of course, discusses in detail his much-heralded and critically acclaimed finale with the release of Blackstar just days before his shocking death in New York. 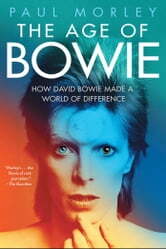 Morley offers a startling biographical critique of David Bowie’s legacy, showing how he never stayed still even when he withdrew from the spotlight, how he always knew his own worth, and released a dazzling plethora of personalities, concepts, and works into the world with a single-minded determination and a voluptuous imagination to create something the likes of which the world had never seen before—and likely will never see again.